Happy, Sad, Heartbroken or Loved... we all regard one drink in particular as the best partner in crime. That's beer. Since it's already October, what can be better but to celebrate it with the Germans who made this drink more than just what it is today! 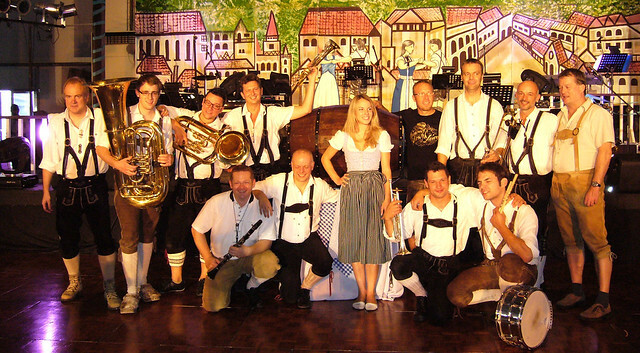 It's the 75th OKTOBERFEST so the German Club and German Embassy in Manila would want you to experience how it is celebrated in their country. You don't have to spend thousands of Euros to feel it, taste it or be part of it... you just need to go to Sofitel Manila on October 18 and 19 at the Sofitel Harbor Garden Tent. For German nationals who want to have that authentic celebration at home, this Bavaria flair is surely going to knock your socks off. All the servers will be in traditional Dirndl dresses too so if you're up to it, you can wear those adorable outfit of yours too. Dining would be really good as they serve different kinds of wheat, pale or dark beer, sausages, sauerkraut, schnitzel, bratwurst, and kartoffelknodel for your pleasure. Never been to the other one last year because of schedule constraints but I'm surely going to be there on the 19th with a beer mug on my hand enjoying the best of what Sofitel Manila, The German Club and The German Embassy in Manila will prepare for us on this momentous event! For more details and reservations, please call the German Club Manila at (+632) 8173552 and 8183552 or email them at germanclub@germanclub.ph. If you wish to reserve a room or two, please call (632) 5515555 extensions 1991 to 1994. You can also email them at H6308@sofitel.com. If you want to experience the Spiral buffet, please reserve through (632) 8326988 or email them at fbreservations@sofitelmanila.com. It's time you get your OKTOBERFEST fever on!